The speaker at our monthly NAMI meeting was tall, mid-60's, military bearing, a former ER doc who did a couple tours of duty in Iraq. You know the type. Only, a little less of that ER doc -- I'll call it self-assurance. He showed us slides of the work he used to do, the before shots (which we really did not want to see) and the after shots of young people, kids he patched together at the medic stations. He told us about the sticky dark trail running from the helicopter pad to the table, and what made it sticky dark. His passion for his work lit the room. We listened to stories of kids for whom he had after shots. There weren't always after shots. He told us about TBI's, traumatic brain injuries and PTSD and how war does damage to brains. He was taking a break after two tours of duty, back in an ER state-side when he had the stroke. Now it became a different story. They told him it would be a long recovery. Two months later, he was astounded at how long it was taking. They told him again, it would be a long recovery. Six months later, the frustration overwhelmed him. His body was back, the use of his limbs, his balance, more or less. But his brain wasn't. And the rehab people said, This is good. Rehab has begun. See, we know a stroke is a physical event, something that happens inside the body. But still we have trouble thinking of the brain as the body. 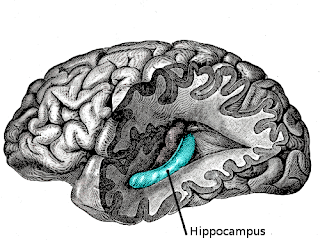 We have trouble thinking of the functions of the brain, like thinking, as physical functions. The injured body has to rehabilitate. We know that. Doesn't the brain just come along for the ride? But thinking is done by a body, the part of the body called the brain. Thinking is a physical process, electrical charges tracing a pathway from one cell to the next, within an organ of the body called the brain. And when the brain is injured, it has trouble performing its physical functions, like thinking. 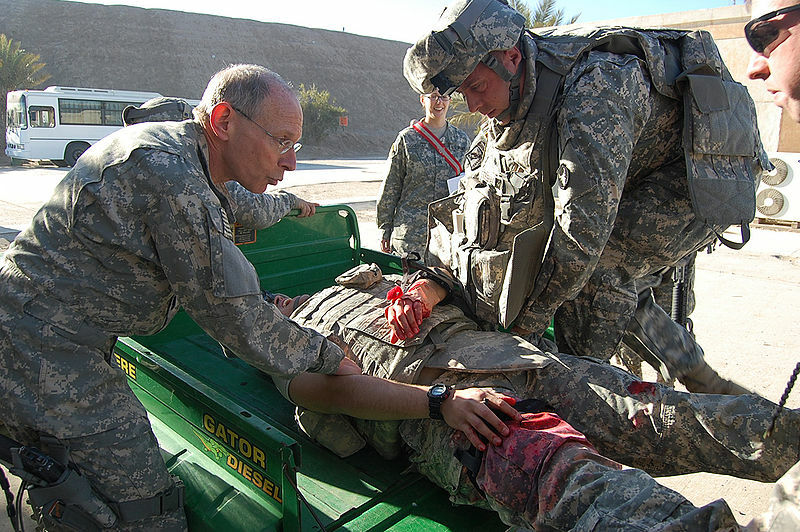 This emergency medicine doctor with battle front experience can't work anymore. He used the phrase cognitive deficits. To illustrate, he told us about the work of an emergency room doctor. When somebody comes into ER with a potential heart attack, there is a protocol. There are 17 steps to this protocol. [It might be 23 -- I wasn't taking notes.] He told us the first step. Check. Then he told us the second. The second step requires a certain mathematical calculation. He told us what needs to be calculated, the ratio between two measurements. [I didn't write them down.] He knows how to do the calculation. He can do it in 18 minutes. The whole process is still in there, inside his brain. The thing is, this entire 17 step protocol has to be done in 93 seconds. So he can't work as an ER doc anymore. His job is to do rehab for his cognitive deficits. In rehab he is learning how to connect all the bits that are still in there. His brain is finding new pathways around damaged areas to turn all those bits into coherent and accessible thoughts. And I thought -- That's it! That's my swiss cheese brain! I am told, now that I have lost half of my cognitive functioning, I am still smarter than 80% of the people in the room. Well okay, between 10 and 11:30 on alternate Wednesday mornings. All the bits are in there. If only I could connect the dots. I wander inside this brain like the hallways of Hogwarts, wondering what's behind those locked doors, getting caught on moving staircases that take me to places I shouldn't be, sitting cross-legged on the floor in front of the Room of Requirement, desperately requiring entrance, but not a clue how to get in. Sometimes all the bits taunt me. They light up like little Christmas tree lights, blink off and on. But if I grab one, the whole chain goes out. Other times, all of a sudden, it's back, my brain. I can get it to take me exactly where I want to go. You don't notice. You don't see the day spent on a paragraph, the week that is lost when the wall will not yield. It hurts to write. But I don't know who else to be, if not a writer. All of which really screws your hippocampus, seat of memory. Here is the source of my cognitive deficits. They say that, unlike cancer or a broken bone, there is no picture of depression. Actually, that is not true. MRI's show that anxiety and mood disorders damage and shrink the hippocampus. They do have the pictures. It is real. It is brain damage. You can rehabilitate brains damaged by TBI's, PTSD and depression, just as you can rehabilitate brains damaged by stroke. Just like stroke, some damage is reversible, some is not. And just like stroke, expect it to take a long time. A friend who has been my mentor through this life transition of mine told me, Yes, your brain will come back. Give it five years. So then my brain did its half-full/half-empty thing. Five years -- that takes the pressure off. I can give myself a break, and give myself time. I can have hope. Maybe my brain will be brilliant like my friend's brain again. Five years -- my career really is over. I will be too old to go back. There is no reclaiming what I lost. The presenter will never work in the ER again, and I will never be Diocesan Ministry Developer again. I do tend to focus on the half empty part. So I will do something else, instead.